These leaders were specifically designed with Pike and Muskie fly fishermen in mind. 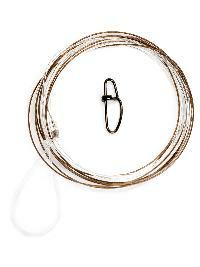 It is comprised of a nylon leader knotted to a 26lb steel wire tippet. These rings are small but strong. Connect to the end of the leader and use to connect tippet and/or droppers. Especially useful for sea fishing, where heavier tippet diameters are used. These rings are very small but very strong. Connect to the end of the leader and no longer will you have to reduce the length of your leader when youre changing tippet. 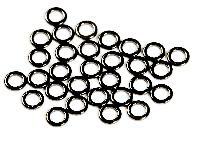 These rings are ideal for use on the river when targeting grayling and wild trout. The rapid solution to changing flies, lures and jigs on the river, in the middle of a hatch, or when its cold. 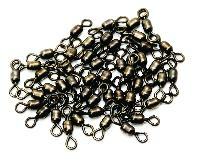 Ideal for all fishermen looking for rapid and lure change with the minimum of fuss. Snap-lock feature for added strength and to ensure perfect lure action. Ideal for all fishermen looking for rapid lure and fly change with the minimum of fuss. 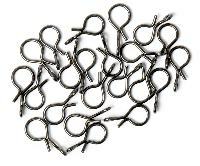 Multi twist for added security and offset eye to ensure perfect lure action. Ideal for predator fishermen looking for rapid fly and lure change with the minimum of fuss. Single twist for easy use and large eye to ensure perfect lure action. Can be used for change of wiggle tails on large and articulated flies and lures. 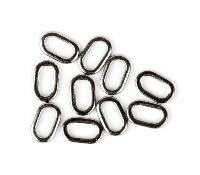 These stainless steel crane swivels are smaller and stronger than conventional brass swivels. Ideal for wary fish and where size matters.